The Federal Reserve rate hike in 2018 created a positive environment for investors in the financial sector and it has boosted financial stocks. The higher the interest rate, the wider the rate spread and the bigger the profit margin for banks and credit card companies. U.S. financials, especially Bank of America (NYSE: BAC) and Citigroup (NYSE:C), for the most part, started their rally in 2016, when rates were close to the bottom. Since then, they climbed higher. With the easy money already made and rate hikes slowing in 2019, investors may want to look outside of the U.S. and in the European markets for financial stocks to buy. Uncertainties from the Brexit vote are artificially capping the valuations of various British banks. Even after Citi and Bank of America reinstated their dividends, various European banks pay a dividend yield that is twice their levels. There are five U.S. banks and two European banks investors should consider buying. 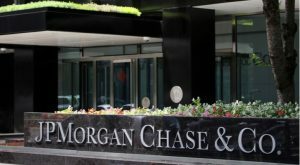 JPMorgan (NYSE:JPM) is trading in between its low and high for the year at around $105. The stock is valued at 11.7 times earnings and has a dividend yield of 3%. The beauty of JPMorgan’s business model is that its operating model positions the firm to outperform in any environment. It attributes the resilient business model to its customer focus at the franchise level, strong balance sheet and general discipline and cost controls. In 2018, thanks to record revenue of $111.5 billion and net income of $32.5 billion, JPMorgan earned $9 a share as return on average tangible common shareholders’ equity rose to 17%. The firm stands out against its peers on these metrics. Revenue and the 10-year CAGR earnings-per-share growth is higher than that of Goldman Sachs (NYSE:GS), Bank of America, Citi and Wells Fargo (NYSE:WFC). Net interest income growth is a key baseline growth factor for JPMorgan’s bottom line. In 2019, it expects net interest income from CIB markets to top $58 billion. This is up from $45 billion in 2015. Current Quarter Highlights: In its Q4 conference call, management said that the current Q1 period will benefit from the normal seasonal strength. It will also include a $500 million accounting write-off when it reports results on April 16. For 2019, as boring as it is, net interest income will go up over last year. Investors will have nothing to complain about as the bank strives to acquire new accounts while offering value, simplicity and compelling products to its customers. Since falling to a yearly low at $2.43 at the start of the year, Lloyds Banking Group (NYSE:LYG) recently traded at $3.40. Lloyds reported strong full-year results on Feb. 20. It also announced a dividend increase and a $2 billion share buyback. Markets appreciated those kinds of shareholder-friendly moves. With the stock’s uptrend in place, investors could start a position in the U.K. bank despite Brexit worries and still do well. Full-Year Highlights: Lloyds reported revenue falling 35.5%, but will still increase its dividend by 5% of 2017 levels. Its share buyback of £1.75 billion will represent a total capital return of up to £4 billion. Net income rose a modest 2%, while its net interest margin rose to 2.93%. The bank cut its costs, with its cost-to-income ratio coming in at 49.3%. Lloyds said its credit quality remained strong and saw no deterioration in credit risk. Its gross asset quality ratio is stable and comparable to both the 2016 and 2017 levels. 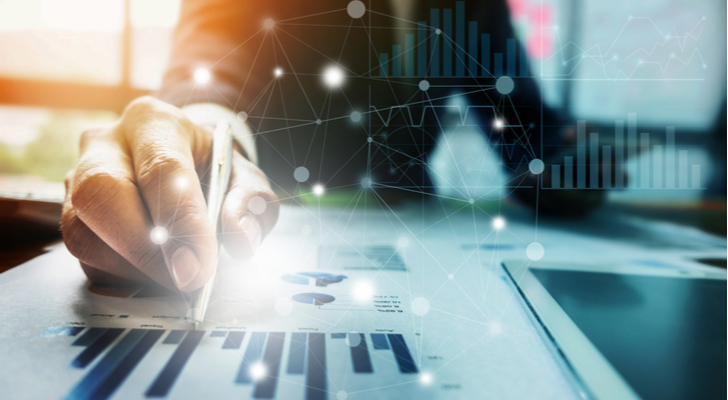 Improving Operational Efficiency: Lloyds forecast strong underlying profits and a return on tangible equity of 14% to 15% in 2019. The resilient net interest margin of 2.9% this year complements the falling operating costs in the next two years. The bank’s £8 billion costs in 2019 are a year ahead of its original target. And the cost-to-income ratio will still fall to the low 40’s at the end of 2020. Citigroup is at around $10 below its $75 52-week high. In the fourth quarter report posted on Jan. 14, the company highlighted its expense discipline while continuing its investments across the franchise. Shareholders may expect RoTCE to improve. Last year’s RoTCE came in at 10.9%, above its 10.5% target. Fourth-Quarter Highlights: Citi reported revenue dipping by 2% to $17.1 billion. This dip was assisted by a 4% drop in operating expenses; EPS grew 26% to $1.61. The bank also reduced its average diluted shares by 8%. The bank forecast some headwinds in the first quarter. Equities and Fixed Income Markets revenue will fall in the high single digits. Slower corporate banking activity in the period hampered results. And a government shutdown may have weakened the business, especially mergers and acquisitions. Still, with the bank seeing expenses falling over last year’s levels and no temporary government shutdowns ahead, Citi’s business should be stable this year. Outlook: Mexico gave Citi’s results a good lift in 2018. That momentum will continue this year. Asia is another area of strength. In the second half of this year, its branded card business will perform well due to earlier investments and promotional programs that converted average interest earnings balances. 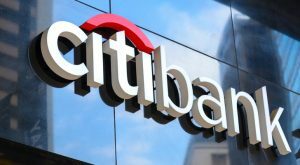 Overall, its discipline in driving higher efficiency will bring productivity benefits and savings that will add $500 – $600 million in savings for Citi in 2019. Savings will continue into 2020. With that level of expense management, Citi stock should perform well over the next two years. 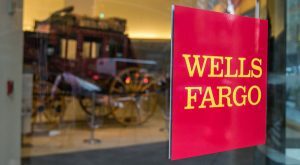 Wells Fargo has a reputation problem to contend with that is hurting its stock price. Investors haven’t forgotten about the credit card scandal. Add CEO Sloan’s compensation package for the year and investors will wonder if the stock may perform well this year. In January, the company launched a marketing campaign to clean up its image. This followed a fourth-quarter report where revenue slipped 4.9% to $20.98 billion but GAAP EPS of $1.21 beat consensus estimates. 2018 Highlights: Wells beefed up its risk management division by hiring a new Chief Risk Officer, Chief Compliance Officer, Head of Regulatory Relations and Chief Operational Risk Officer. It spent $1.8 billion in technology and bought cyber, data and risk management solutions. Wells Fargo reported a few weak numbers in Q4. Auto loans balances fell by $1 billion sequentially. As it focuses on higher quality auto loans, this portfolio should start growing by the middle of this year. Average deposits fell $42.7 billion, hurt by lower wholesale banking deposits and customers moving cash to higher rate alternatives. Cost Cuts: The bank cut expenses by $424 million (down 3%) from the third quarter, thanks to lower compensation levels. On a year-over-year basis, costs fell $3.5 billion as the company limited spending on advertising and promotion, travel and entertainment and outside professional services. For 2019, the Fed’s rate hike pause will not hurt Wells Fargo’s loan growth and deposit growth. Loans grew in Q4 and have the momentum to continue doing so. That alone should give WFC stock some support at these levels. Banco Santander S.A. (NYSE:SAN) is range-bound because the markets are waiting on the Brexit to play out. The British government approved a Brexit delay but rejected a second referendum. With the Brexit temporary off the table, investors are cautiously accumulating SAN stock. The stock’s forward price-to-earnings rato 9.5X and the dividend yield of around 5.4% are compelling for value investors seeking income. And after the stock broke down in August 2018, $5 appears to be the resistance level for the stock. Banco Santander’s Fourth-Quarter Results: In its Q4 report, the bank reported gross income of €12.5 billion while profits grew 34% to €2.02 billion. For the full-year 2018, revenue grew to €48.4 billion, up 9% from the previous year. Profits increased 18% Y/Y to €8.06 billion. Banco Santander benefited from customer revenue growth in Brazil, Spain, Mexico and the U.S.
Like its U.S. counterparts, Santander is growing out its digital services. Customers using these services increased by 6.6 million, adding to its 32 million users. Nearly half of its customers now actively use digital services on a regular basis. Its loan portfolio is healthy. The NPL (non-performing loan) ratio is 3.73%. Its Openbank grew its mortgage balance by 373% after its first full year of mortgage sales. Europe made up 52% of Santander’s profits, with the U.K. accounting for just 13%. The Americas (includes Brazil, Mexico, and the U.S.) comprised 48% of the profit total. Strong Three-Year Performance: Santander’s 2015-2018 performance does not reflect in its share price, which fell in that time. Its customer count grew from 13.8 million to 19.9 million. EPS grew 11.2%, while RoTE rose to 11.7%, up from 10% in 2015. At this juncture, SAN stock is poised to break out above the $5. It still needs clearer, ECB-friendly policies to draw investors. The Brexit’s resolution would also help persuade buyers to accumulate the stock. Credit card transactions continue to make plenty of fee income for Visa (NYSE:V). As consumer spending, both online and offline, grows, Visa becomes more attractive to investors. Visa has three big lines of revenue: service fees, international revenue and transaction fees. Whenever markets selloff and take V stock down with it, those selling the stock forget how big Visa’s business has become. The size of its transactions processing business and domestic business is big and both keep getting bigger. Challenges for Visa: Europe is a long-term opportunity for Visa’s international market growth. In the near-term, it needs to adjust to the regulatory changes going on there. Fortunately, Visa adjusted its business in the last 12 months as it took a better understanding of Europe’s diverse market to adjust its business accordingly. For example, card penetration is around 90% in places like Sweden but is in the low 30% range in the Southern and Eastern areas of Europe. 2019 First-Quarter Highlights: Visa’s payments volumes grew 7% in the Q1/2019 period, to $2.2 billion. Total transactions grew 11% YoY to 49.96 billion with a credit/debit mix of 34% and 66%, respectively. Revenue grew a solid 13% to 6.96 billion. Visa stock trades at a P/E of 33.4X as its shares closed at 52-week highs. Investors may want the stock to pull back before starting a position. Like Visa, Mastercard (NYSE:MA) is trading at 52-week highs, and for a good reason. It has a moat in the transaction and payments business and leverages its relationship with over 30,000 banks worldwide. Its growth potential comes from advancing its real-time payment system, which would significantly increase its growth. Mastercard provides real-time payment systems but needs to increase its presence in the current marketplace. PayPal (NASDAQ:PYPL) and Square (NYSE:SQ) command high valuations because investors know the real-time, electronic payment processing market is growing. Mastercard can build on its relationship with its over 30,000 banks whose customers need ACH real-time payments and cross-border transactions. As markets upgrade those real-time payment systems in the next decade, Mastercard is positioned in the major markets to play a big role in the modernized payment ecosystem. Now that MA stock is at yearly highs, there is no perfect time to pick an entry point. Value investors may shy away from this stock, but MA stock is valued below that of Square or PayPal stock. Article printed from InvestorPlace Media, https://investorplace.com/2019/03/financial-stocks-to-buy/.